Getha has made dreams a little sweeter with the introduction of the made-to-order Dream Kingdom mattress. The internationally acclaimed mattress and bedding maker has roped in George Mantzis, an expert in the same field to design the Dream Kingdom fit for a royal. Skilled artisans spend over 14 days and 300 hours to manually thread, sew, assemble and construct the Dream Kingdom, with the ultimate intent of ensuring the mattress is immaculate built. 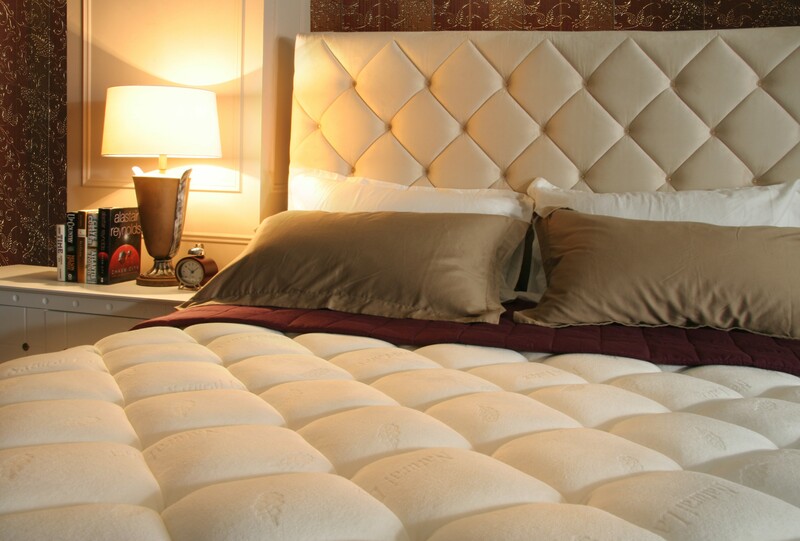 The Dream Kingdom is also made from 100 percent natural latex, French wool, velour, gold and Italian Mastrotto leather, offering peace of mind to those who are eco-conscious and elevating the overall mood of the bedroom. Gold-plated buttons are used to enhance and punctuate for added contrast and a touch of glamour, while opulent Italian Mastrotto leather hand-crafted stools complete the magnificent mattress and bed suite. Through these luxurious yet durable materials, the Dream Kingdom is fundamentally designed to provide supreme comfort, an experience that is akin to floating on a cloud. But more than that, it is also made to support a healthy posture while sleeping. Besides the availability in two different sizes: King and Super King in Classic Comfort, the Dream Kingdom also has a variant inspired by the mystery between twilight and nightfall. The Dream Kingdom Phantom is available in Majestic Firm, with moonlight dark royal blue velvet for added allure and plushness.